Our second major hike in Wales took place on the Great Orme of the sea resort town of Llandudno. 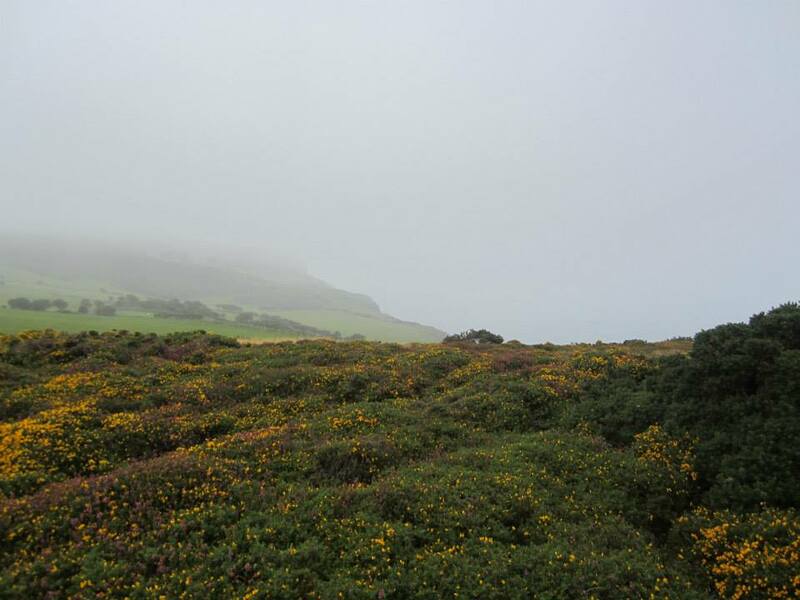 The Great Orme is a giant limestone headland next to the sea. Allegedly Orme is the old Norse word for Worm or Sea Serpent. We drove part of the way up and ended up at an alpine amusement park. Naturally, we couldn’t resist. There was a toboggan ride. Basically you sat with your legs out on a piece of metal and a pulley system brought you up the hill. Then you sled down this track, whisking around turns with a small brake to slow you down or speed you up. It was lovely despite the copious amounts of sheep manure around the track. You could also ski on some padding. It was pretty sweet. We then decided to head to the top of Great Orme. We took a detour since we wanted to check out a chapel nearby. Again, we found ourselves surrounded by vibrant green fields, happily munching sheep, and the sea way below us. There was a slight fog in the air but it was nothing like Snowdon. It was a short walk to St. Tudno’s Church which was a charming 15th century church. They had some stone pews outside so they could have open air services. That is my ideal of any religious service. 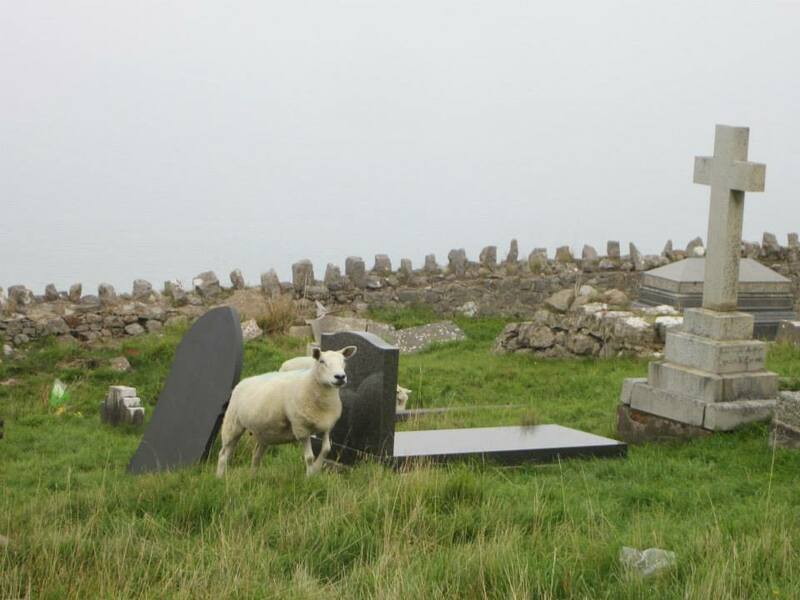 It was surrounded by a cemetery where sheep were casually grazing. I felt as if I had stepped into the most stereotypical Welsh scene possible. It was fascinating but the entire cemetery was covered in manure. I wouldn’t have been a happy camper if my loved ones were living there. After the cemetery, we decided to head up to the top of the Great Orme. Then the fog really began to come in and visibility went down. When we got to the top, we couldn’t see anything. But it was such a lovely day and walk, it didn’t matter. We wanted to take a cable car down but they had just run their last car by the time we got up there. We meandered our way down, saw the giant tourist trap mine, and wandered past some rams with impressive horns and sheep. Again, we made sure to keep our distance since we didn’t know what to expect. After we got back in the car, we decided to go into Llandudno itself. It’s a typical British sea resort where Bertie Wooster and other PG Wodehouse characters would go to relax. I don’t think I’ve ever seen so many hotels before. Every building in the first few blocks were hotels. We briefly had some tea and snacks at one. It was not quite season for the area but it wasn’t completely dead. Then we wandered out to the boardwalk. Unfortunately, most of the shops and amusements were closed. We did get to play a Wild West shooting game. If you shot the various targets correctly, something would happen. You hit a barrel someone would come out; you hit a frying pan, the appropriate noise would come out. Sadly, the fog kept visibility to a minimum but it was an impressively large boardwalk, straight into the sea. There were some people fishing in a designated fishing area too. What a charming area of Northern Wales!